Hasan Hai is calling on people who witness incidents to speak up, be allies and trust people with lived experience. 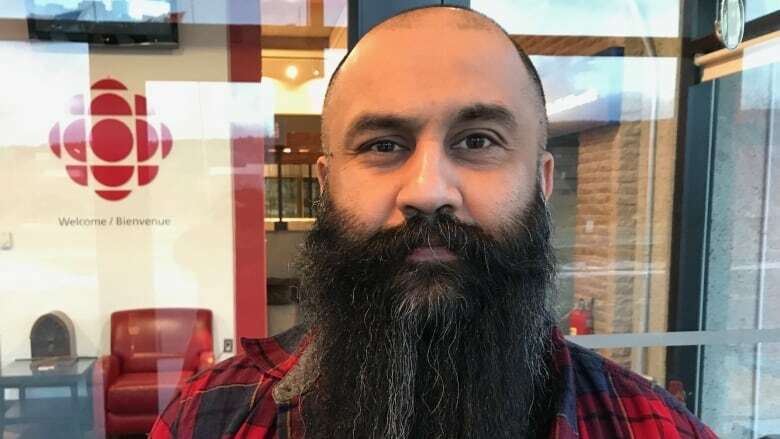 Hasan Hai wasn't shocked to see a Facebook comment comparing him to Osama bin Laden — but he hopes people who are surprised by the comments will take action the next time they witness an incident of hate. Hai took to Facebook this weekend to share the comment, saying there "is rot in my home and I can't fix it myself." That post has been shared more than 180 times, with hundreds of comments which Hai said are mostly supportive of him. "Newfoundland and Labrador is home for me. I love my home, but our home, like many families, has some unpleasant things that people don't want to talk about," Hai told CBC's St. John's Morning Show. "The fact that people are surprised by this and that it makes them uncomfortable is a good thing. People should be uncomfortable." It's just one of the various comments Hai has shared on social media; others he's posted include, he said, homophobic comments about him and his friends, as well as other racist comments. This weekend, Hai, in his role with the Newfoundland and Labrador Beard and Mustache Club, presented a cheque for more than $200,000 to Violence Prevention Newfoundland and Labrador. 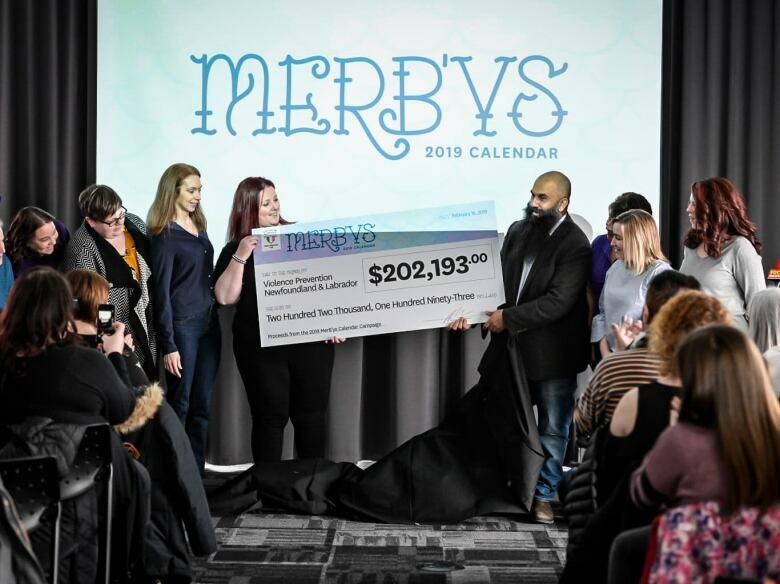 The money was raised from sales of the MerB'ys 2019 calendar, and bring the total amount of money raised by the calendars for charities in this province to more than $500,000 in just two years. But Hai said it doesn't matter how much good he tries to do in his community, he will always live with the knowledge that hatred, bigotry and racism exist. "That's life. No matter what I do, no matter what successes and accomplishments I have in my life, I will be seen by some people as a terrorist and as a hateful being. And it's sad, but it's not a shock for me," Hai said. "It always hurts, but it's never surprising." Hai said he's had comments that he should go back to his own country — "which is Canada, which is the funny thing" — and plenty of other moments of discrimination and hate. This latest incident on Facebook, he said, came about after a local chapter of Yellow Vests protesters accused him of harassing a lone protester in Mount Pearl. "[They] changed the narrative, saying I had attacked this woman in some way, ambushed, in their words, this poor girl," he said, adding that he did go have a conversation with the protester, who he said was passionate about her views during their 20-minute conversation. "Just making it out to be me, this intimidating monster trying to convert her way of thinking, and changing this narrative and making it OK for them to say what they're saying." Instead of ignoring it, Hai wants to show people the kinds of personal attacks he endures, hoping it shows people that there is a real problem in Canada — whether or not people want to admit it. "There's many people in this province, this country, who don't see it, it's just not part of their lived experience," he said. "They just need to trust us that it does exist and it's something that, even if you're not experiencing or seeing it day-to-day, other people are living it all the time, and just being aware of that." Hai said that, while there isn't any chance of changing the problem overnight, people who are shocked by it should use it as an incentive to do something. His post wasn't intended to insult people, which is clear when you see it in its full context, he said. Instead, he wants to encourage people to recognize that a problem exists. "I'm calling out people, primarily white people, who are not typically subjected to any of this hateful rhetoric, to stand up and be allies in this."